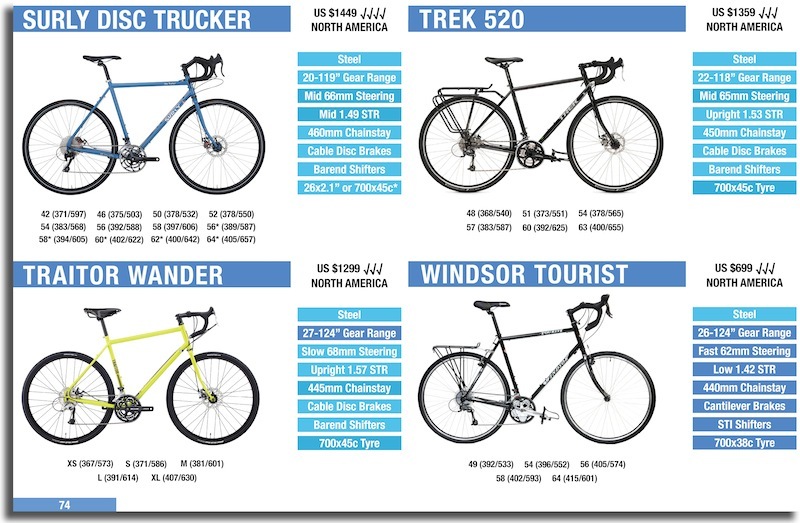 Last year, Marin surprised us with a new long distance touring bike called the Marin Four Corners. This year it’s back and they’ve gone all 1990s on the colours! 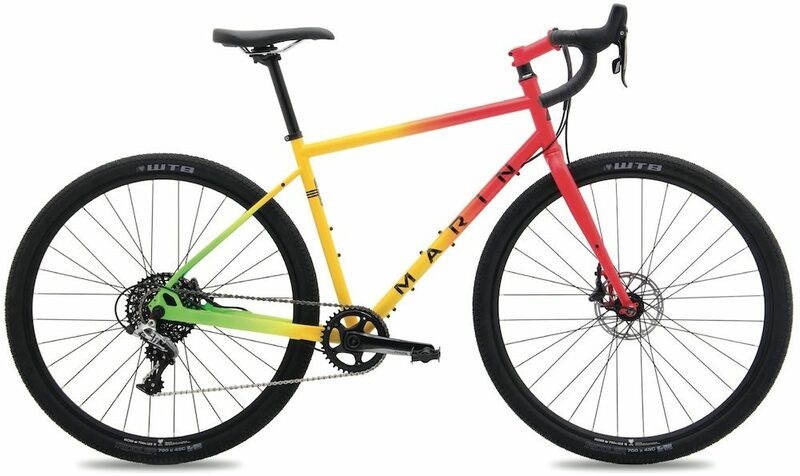 The rasta paint job is a throwback to 1991 when the Marin Bear Valley mountain bike was around. Apparently, the mountain biking / reggae concoction was a thing back then. The geometry of the Marin Four Corners is in-line with most modern touring bikes. 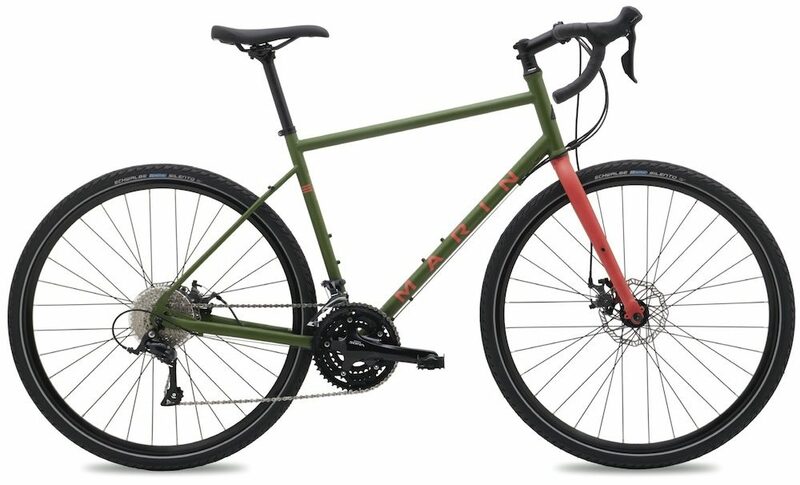 The wheelbase is rather long, there are 450mm chainstays up the back and the steering speed is on par with touring bikes like the Trek 520 (64mm trail). 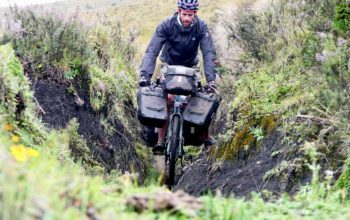 The frame and fork will happily squeeze in 29×2.00″ tyres for riders keen to take the road less travelled. While the Four Corners frames have received just a minor update for 2017 (in the form of addition braze-ons), there are a few small details in the specification that will improve the overall ride of these bikes. 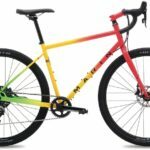 The 2017 Marin Four Corners Elite touring bike in rasta colours. The 2017 Marin Four Corners Elite is constructed using Columbus Thron, a higher-grade steel tubeset than the base model. Using this tubing adds to the cost of manufacturing, but ensures an increase in frame strength while reducing the frame weight a tad (magic, I know). The frame now has provision for a third bidon cage, and the fork will now permit a lowrider front rack. In term of gearing, the Four Corners Elite is a 1x drivetrain with SRAM Rival parts and a 38t front chainring (down from 40t in 2016). 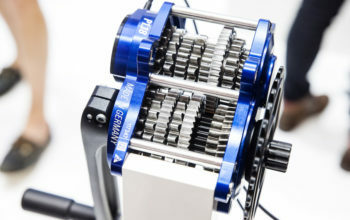 The climbing gear is 25 gear inches, and despite being a 1x drivetrain, the highest gear (106″) will still allow you to pedal at 50km/h (31mph). 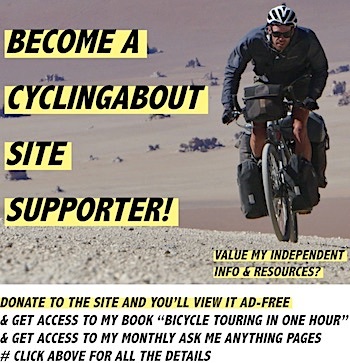 The wheelset has been changed to incorporate wider rims (25mm internal) that provide a better tyre shape for the 45-50C (1.70-2.00″) tyres recommended for this bike. The 2017 Marin Four Corners Elite should weigh in at about 11.50kg (25lbs) and will cost US $2250. 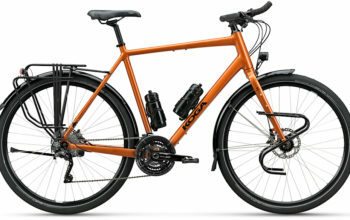 The 2017 Marin Four Corners touring bike. The 2017 Marin Four Corners has received a minor update on the specification. 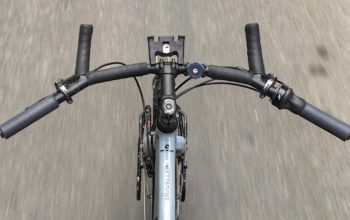 It now features the new Shimano Sora R3000 shifters that borrow the design of the higher level groupsets, by internally routing the shift cables below the bar tape. The drivetrain comes with a 9-speed road triple crankset (50-39-30) and 11-32t cassette, providing a gear range of 26-124 gear inches. 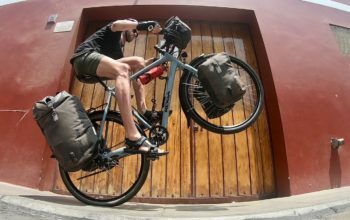 Despite the frame being a close competitor to other ‘long distance’ touring bikes, the gearing is actually closer to many ‘light’ touring bikes. It’d be great to see a 19-20″ low gear (which I personally use and recommend) on the 2018 model. 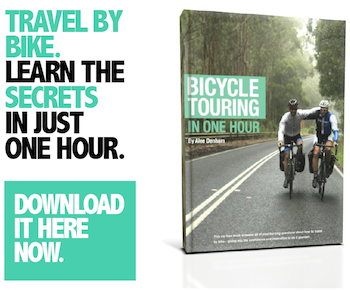 That said, there’s a bunch of ways to achieve a lower gear, plus Shimano just released a low-cost 11-34t cassette that will yield a 24″ low gear on the Four Corners. The 2017 Marin Four Corners should weigh in at about 12.5kg (27lbs) and will cost US $1099.